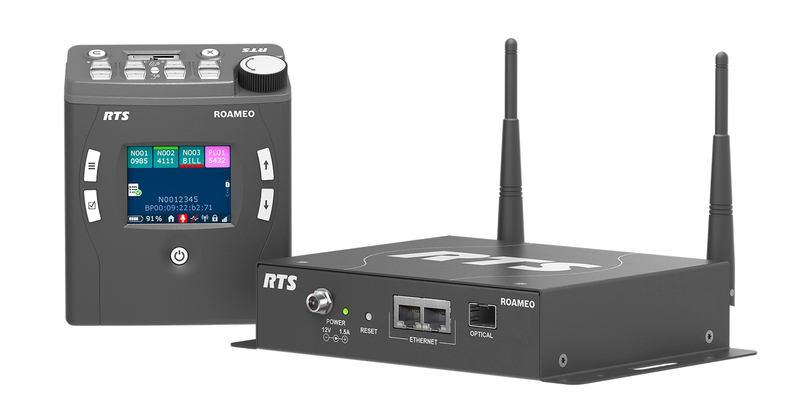 CrewCom wireless intercom system features excellent voice quality, exceptionally compact fully featured professional full-duplex wireless radio packs, and extreme range, with multiple RF access points that connect via copper (100 m) or fiber (10 km). 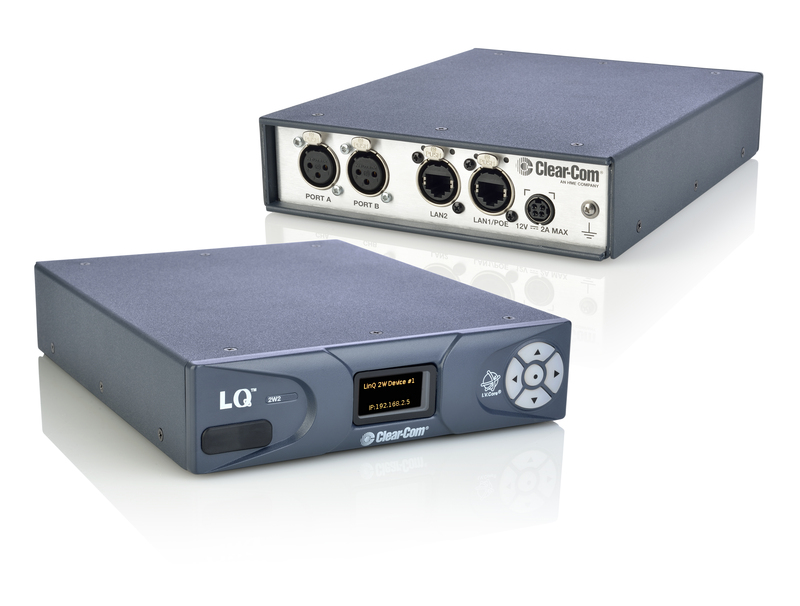 CrewCom wireless products are available in 2.4 GHz and 900 MHz models (the latter limited to where this band is legal). Any combination of these frequency bands may be used simultaneously on the same CrewCom system, providing the ability to put dependable RF coverage where needed, with a user interface consistent throughout the system. CrewCom also offers easy system deployment along with one of the most user-friendly radio packs on the market. The design of CrewCom offers a significant price advantage for larger, more-demanding applications in terms of actual cost of deploying many wireless users in a production. Based on a decentralized platform that puts system resources where they are needed, the system features hundreds of conferences that provide the flexibility of a matrix or partyline without the cost or limitations of either system. 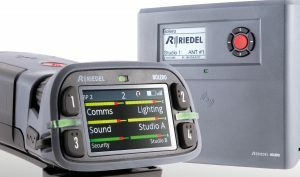 This approach to professional wireless intercoms enables CrewCom to handle almost any applications, from simple out-of-the-box solutions to large-scale designs, for a wide range of installation projects for live sound, broadcast, industrial, and more. 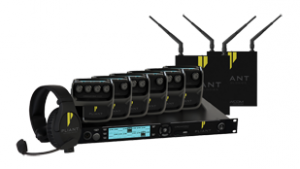 Artist digital matrix audio and intercom ecosystem can handle AES3, AES67, AVB, Dante, VoIP, and analog audio formats. It consists of a fiber-based backbone providing a decentralized infrastructure for live audio and intercoms with matrix sizes up to 1,024×1,024 ports. Multiple frames can be interconnected via dual optical-fiber ring to form a single large, full-summing, non-blocking distributed matrix that looks like one system to the user. Its Director configuration software is easy-to-use and boasts the industry’s fastest upload times. The new 1200-series SmartPanel is the smartest SmartPanel yet. The RSP-1232HL features multiple full-color multitouch displays, 32 innovative hybrid-lever keys, the ability to leverage apps for multifunctionality, easy adaptability to the various workflows in use today, and high-quality stereo speakers. Each of the RSP-1232HL’s 32 lever keys features an integrated rotary encoder that provides control over parameters in the same location as the key. Users are able to choose custom colors for either the key labels or the LED ring surrounding each key. In addition, the RSP-1232HL natively supports AES67 through two fiber SFPs and two RJ45 connections that offer a variety of daisy-chaining and redundancy options and delivers cabling flexibility. Bolero is a full-roaming, DECT-based wireless intercom system in the license-free 1.9 GHz frequency range. 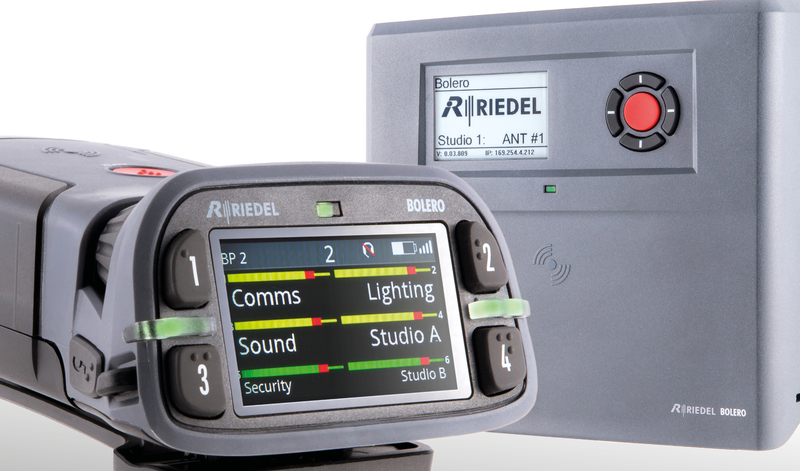 Fully integrated into the Artist digital matrix intercom or used as a standalone, Bolero offers robust features that can be applied as a wireless beltpack, a wireless keypanel, or a two-way radio. Several new technologies power Bolero’s capabilities, including an Advanced DECT Receiver (ADR) for multipath tolerance improvement and near-field communication (NFC) for easy, Touch&Go beltback registration. Bolero also features six channels, Bluetooth connectivity, and nearly 18 hours of battery life.